Mountain Lion Cougar Blanket Throw Tapestry is animal lover gift decor gorgeous at Animal World®. Featuring excellent artwork this Cougar Mountain Lion Blanket Throw Tapestry is made in the USA, is perfect for warmth on a chilly day and measures 60"Wide x 48"High. 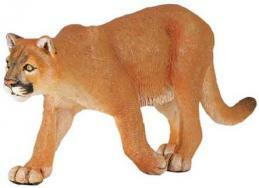 Shop our Mountain Lion Gifts from Animal World® at Anwo.com page for all our Mountain Lion Cougar gift ideas. Shop our Animal Blanket Throw Tapestry at Animal World® for our complete selection of wildlife blanket throw tapestries. Review this Mountain Lion Blanket Throw Tapestry article for decorating, gift and other creative ideas.